Love that dewey glow models seem to effortlessly evoke? No need to start questioning your genetic makeup because Rose-Marie, top makeup artist and lover of luminous, fresh skin, reveals her tips to get the look for the holidays. Rose-Marie sat down with Organic Spa Magazine to first talk about how to achieve luminous skin starting from the inside. A firm believer that “the skin is a mirror to the gut,” her advice first begins with diet. By being selective about the foods and drinks you consume (think lots of water, green juices, raw fruits and veggies), your body will instantly reflect that via your largest organ: skin. Keeping hydrated and your skin well-circulated, you will not only look more healthy and vivacious, but feel that way too. Next, choose skincare and cosmetic products that are not chemically-laden but those with clean, natural ingredients. 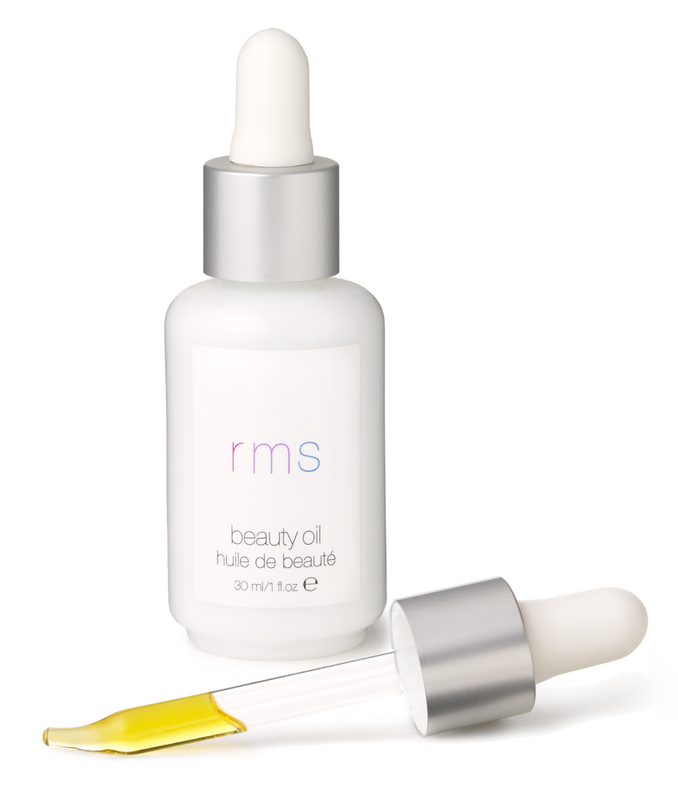 To get luminous skin, as seen on the model above, start by hydrating skin with rms beauty oil, full of adaptogenic herbs and vitamin-rich oils, to prep skin. Follow by applying a light concealer, such as the “un” cover-up, in the shade that suits you best. Apply to blemishes or any other areas that need extra coverage. 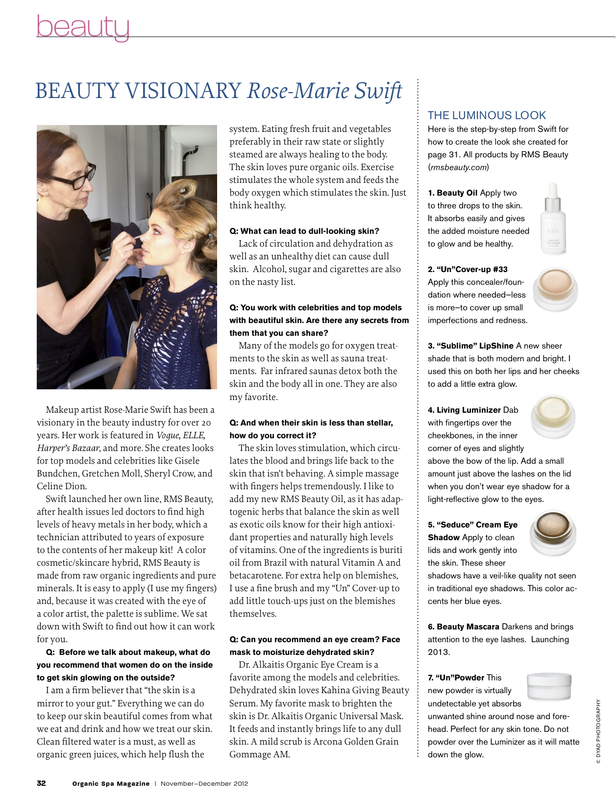 Rose-Marie then advises using the best-selling living luminizer to sensually highlight your face. Dab just a little to the inner corners of eyes, the bow of lips and just under brow bones to make eyes sparkle. It also looks beautiful on cheekbones for extra luminosity. 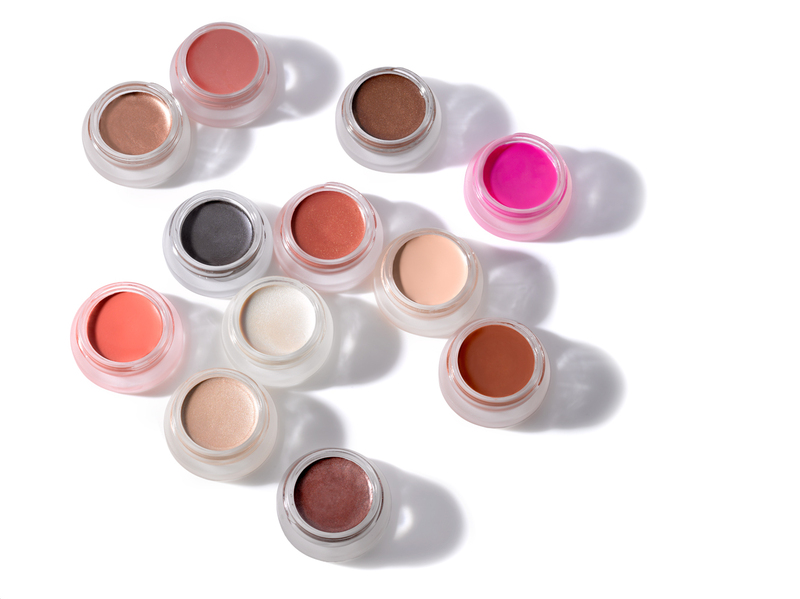 Finish eyes with your favorite rms beauty cream eye shadow (seduce was used above), which will exude a metallic glow. Solar and magnetic also look beautiful on eyes for the holiday season. After a swipe of mascara, apply sublime lip shine to lips for a pink punch. It also looks beautiful here used to give extra sheen and color to cheeks. Lastly, set the look with the new “un” powder, a translucent setting powder that will help lock your makeup in place. A light powder down the T-zone is all you need as you will want the luminizer to still have its light-reflecting quality. Voila–the perfect, luminous look for any holiday gathering!